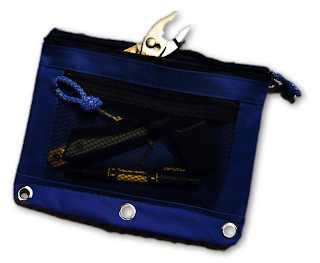 I added this little bag to my kit, to hold small tools and such. But it's not marketed as a bag: it's a pencil case, from Staples! Yes, they come in colors.